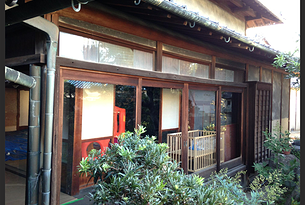 The monthly rent is from 25,000 yen per person. For each resident, or casual visitor, we are open to negotation. 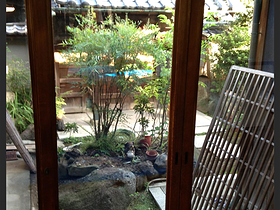 A Japanese-style tatami room (8 tatami mats), looking out over a traditional Japanese garden. Back room; smaller than the other rooms, but having a cosy atmosphere, and plenty of sunlight.